ISS and Glass Lewis recently updated their proxy voting guidelines in advance of the 2017 proxy season. The updates to the ISS guidelines will be effective for meetings beginning in February 1, 2017, and the updates to the Glass Lewis guidelines will be effective for meetings beginning in January 1, 2017.
updating the policies of ISS with respect to proposals to address non-employee director compensation. tightening its board refreshment policy (by providing that Glass Lewis may issue adverse recommendations against members of the nominating or corporate governance committee where tenure or age limits are waived without sufficient explanation, or against the nominating or corporate governance chair where there has been a failure to ensure that the board members have relevant experience and this has contributed to the poor performance of the company). Although the changes made to the proxy advisory guidelines of ISS and Glass Lewis for 2017 are limited, public companies and their counsel will want to continue to closely focus on ISS and Glass Lewis guidelines and practices when preparing proxy statements for this proxy season and considering their executive compensation practices generally. While the precise level of influence of ISS and Glass Lewis on proxy voting outcomes continues to be debated from an empirical perspective, there is no doubting their ongoing pervasive influence. 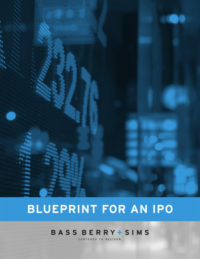 Public companies should also work with their proxy solicitors to get a sense of the extent to which their institutional investors follow ISS, Glass Lewis (or both), and (if their stockholders follow a proxy advisor) the extent to which they closely follow the proxy voting recommendations of their proxy advisor or are more apt to utilize their independent judgment on any particular matter (certain investors, particularly larger institutional investors, may use proxy advisory firms as much or more for their research and analytical capabilities than their voting recommendations). In this regard, while the policies of ISS have traditionally received more focus than Glass Lewis (and ISS continues to be more widely followed than Glass Lewis among U.S. public companies), Glass Lewis can also have a significant influence on the voting outcome at certain public companies. In addition, the proxy voting guidelines that are made publicly available by certain large institutional investors may also be of assistance when conducting a voting analysis when a registrant is considering a particular matter. In summary, considering the proxy advisory firm landscape continues to be a key part of preparing for annual meetings by public companies. While public companies and their boards need to use their independent judgment when considering matters and may determine that it is in the best interests of their company to deviate from the policies of ISS and Glass Lewis in any particular case, public companies will want to continue to be mindful of the potential reaction of ISS and Glass Lewis when considering potential actions and/or drafting their proxy statement disclosures. In this regard, counsel to public companies should be mindful that conducting an ISS and Glass Lewis “rules check” can be just as important as conducting the traditional SEC rules check when preparing and reviewing a proxy statement. Should Public Companies Voluntarily Adopt Proxy Access?